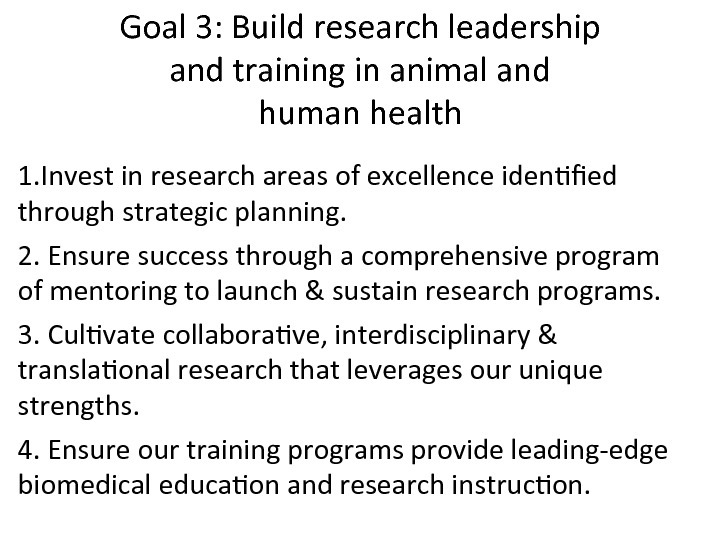 Invest in research areas of excellence identified through strategic planning. Ensure success through a comprehensive program of mentoring to launch and sustain research programs. Cultivate collaborative, interdisciplinary and translational research that leverages our unique strengths. 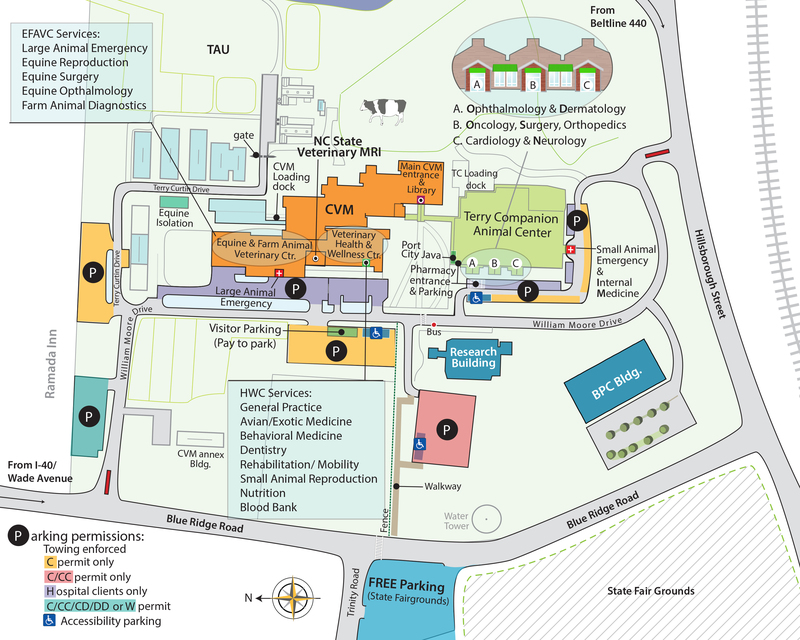 Ensure our training programs provide leading-edge biomedical education and research instruction. Productivity and impact of our research. Success in winning external support from federal, industry and foundation sources. Graduate student success documented through awards, publications and employment outcomes. Participation of our researchers in interdisciplinary activity outside the College. Provide every other month programs that culminate in the award of the Comparative Biomedical Teaching Certificate. Provide biweekly and monthly grant writing mentorship for trainees pursuing federal funding opportunities. 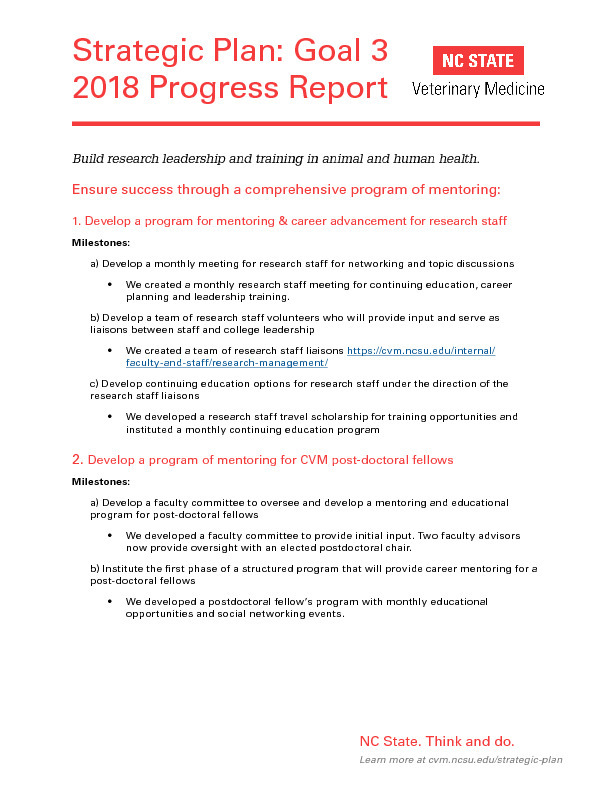 Develop a program for mentoring & career advancement for Research Staff.